Good morning, Quilters! 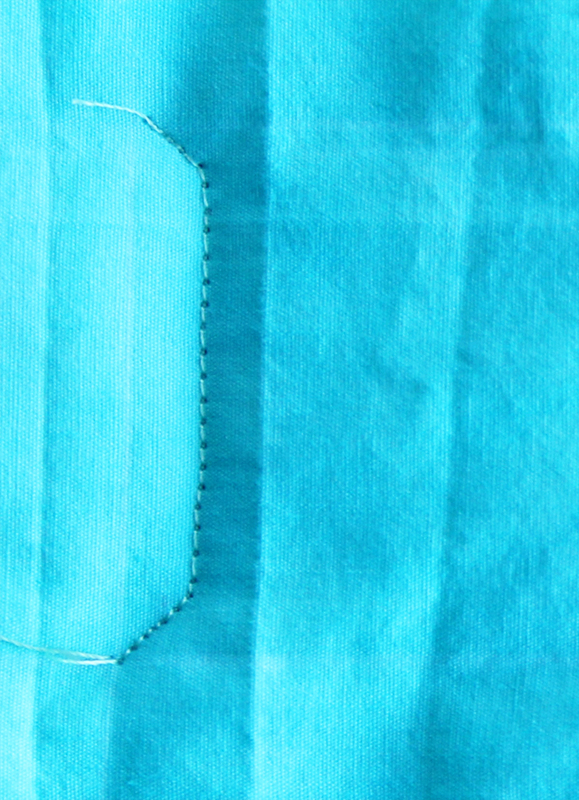 I’d like to welcome the many new quilters who have joined our ranks from Facebook! We are so glad you found our quilting community. 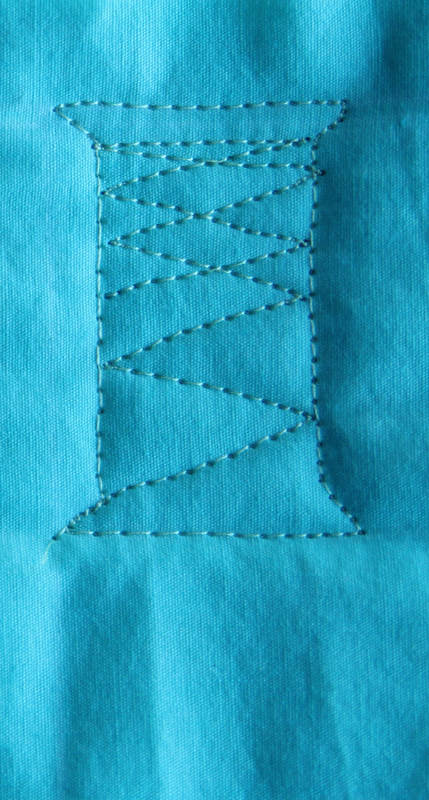 We also would like to welcome the many quilters who have joined us from Spain–Bienvenido! 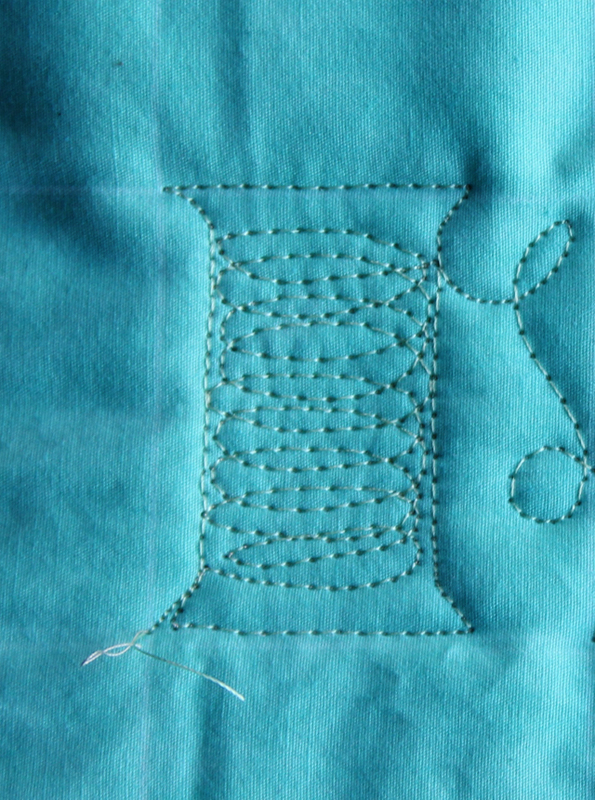 Every Tuesday we get together for a little Free Motion (and Long Arm) Quilting fun! 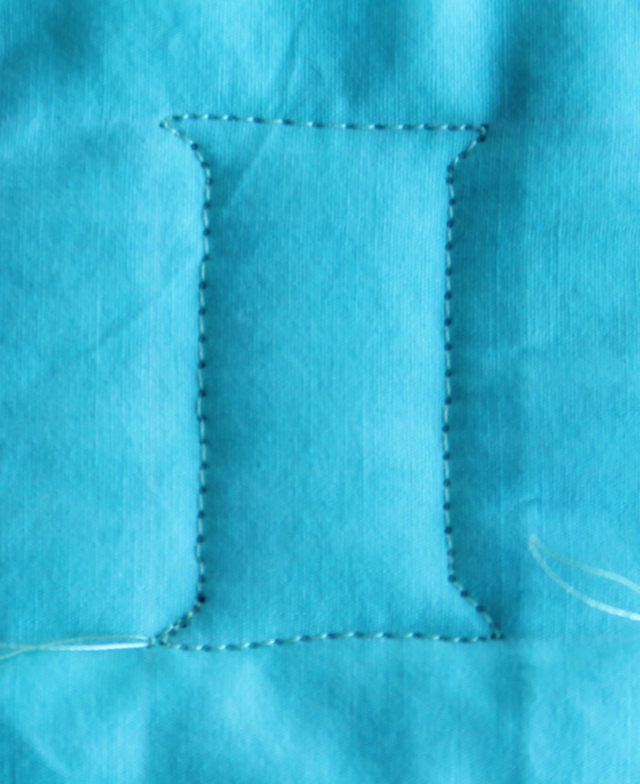 I stitch exclusively on a domestic sewing machine (a Bernina 820), but many long arm quilters fill our ranks. Let’s get started! 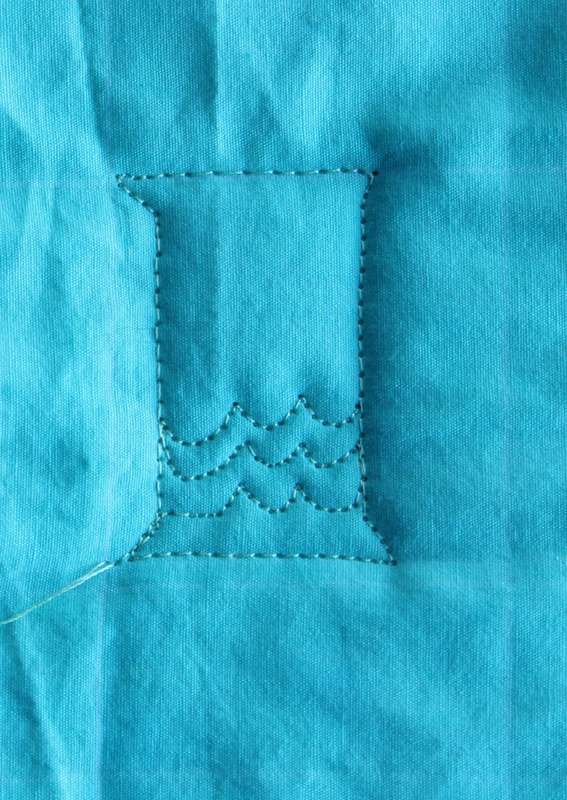 Today, we are working on a motif that would look great on a quilt, but also on a quilted sewing bag. I think it would be perfect to hang in our studios-either by binding it or by framing it. I’d love to hear your ideas! 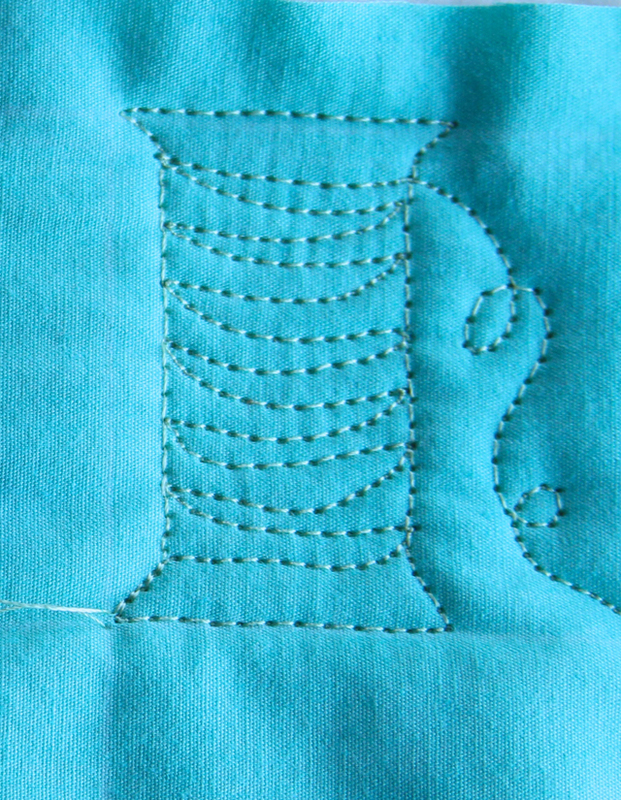 This is a “one-pass” pattern–in other words, you never need to stop…one continuous line connects all of these spools and the thread. 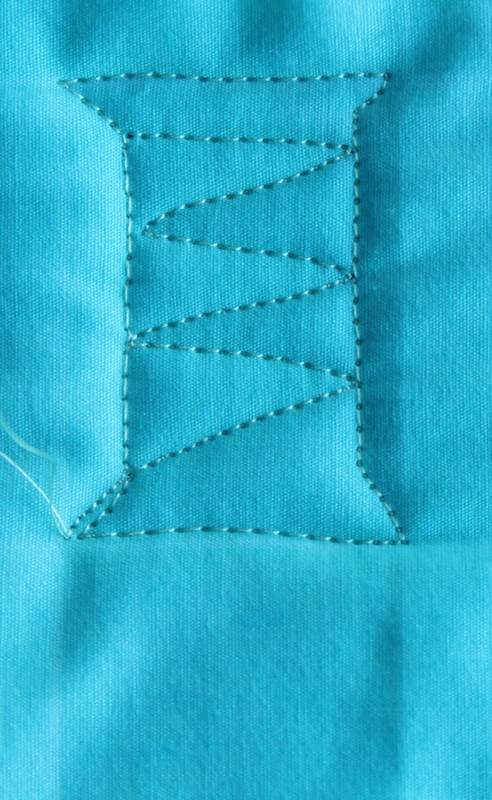 Start by drawing (with your fabric marker) two lines or “rails”. In the sample below, the “rails” are 2 inches apart. 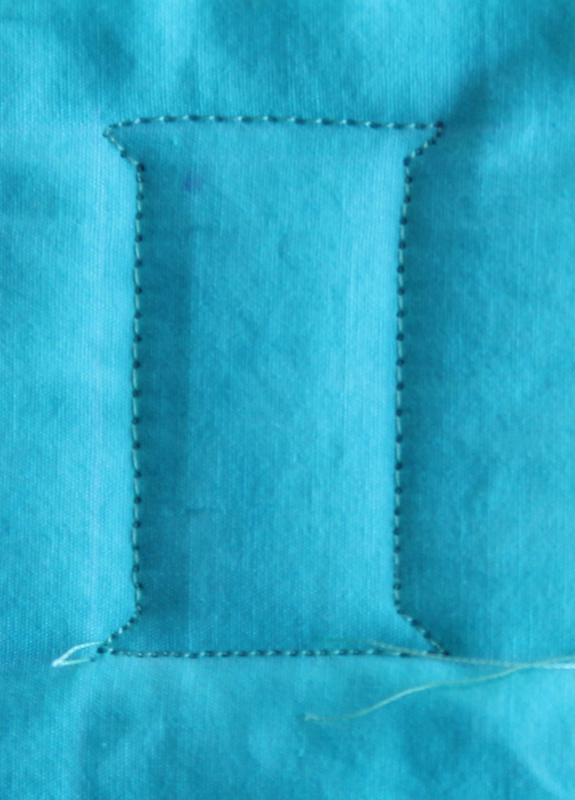 When you reach the top of the spool, stitch a few “loop-de-loops” to bring you down to the bottom of the next spool. You are now ready to begin the second spool. 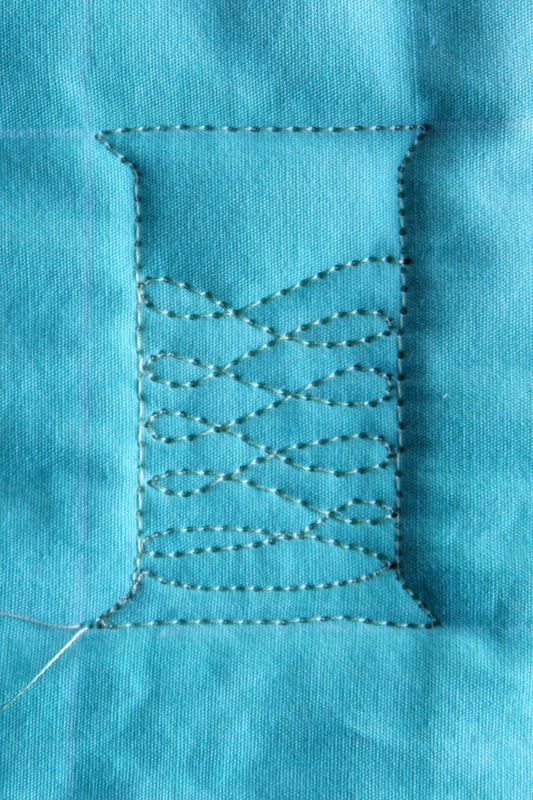 For variety, use The Twist (see tutorial HERE) for your “thread”. Be creative. I’m sure you can come up with many different spools. Here’s a little tip from my sister, Teri—prepare a pile of “quilt sandwiches” …Next time you have 15 minutes…you’ll be ready stitch a spool or two! Check out all the tutorials in the “Quilt/Tutorials” tab above…There are more than 30 Free Motion and Long Arm motifs for you to try! So glad I stumbled upon this web page! Love your tutorials! I’m so glad you “stumbled upon us” as well! Welcome! 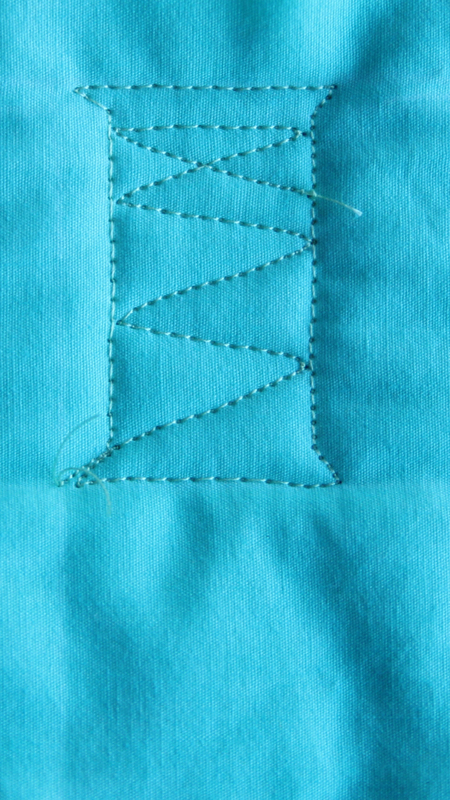 This is such a fun quilting design. I’m definitely going to have to try it. Thank you. I can’t believe you picked spools! How did you know? lol! I just hosted a block swap…SPOOL blocks! 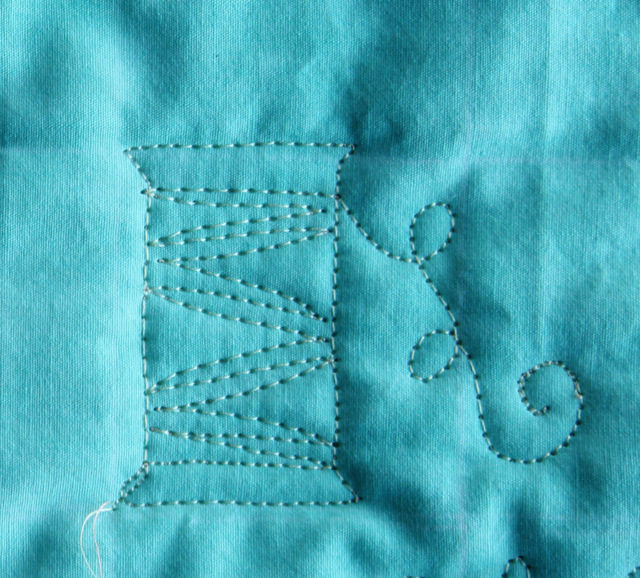 I have ideas for borders and probably want to do some more blocks. 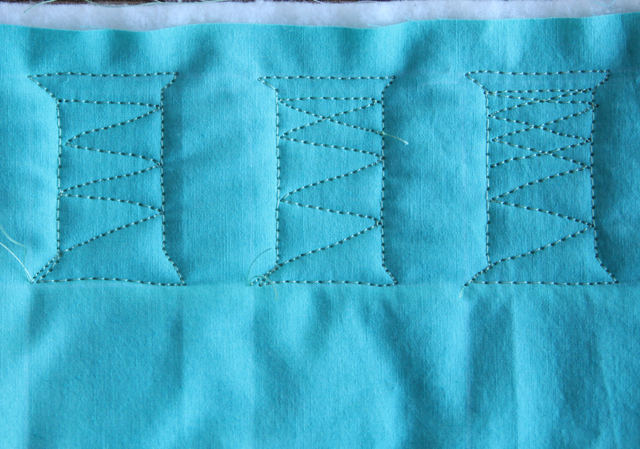 I had NO ideas for quilting other than a zig zag like you did for the ‘thread’. I will be anxious to start working on this now! Great minds think alike! Can’t wait to see your spools! Please send photos! I am really loving your writing on the piece! Do you just free motion text it or do you write it out and then quilt it? I usually just free motion quilt the writing, but it wouldn’t be a bad idea to write it out with a light pencil or chalk first. I just came across your blog from a pinterest post. omg…your style is the best. Every little tutorial you make of the free motion, I want to try….it is so me and I so love each one. Thank you so much and I will be here daily. 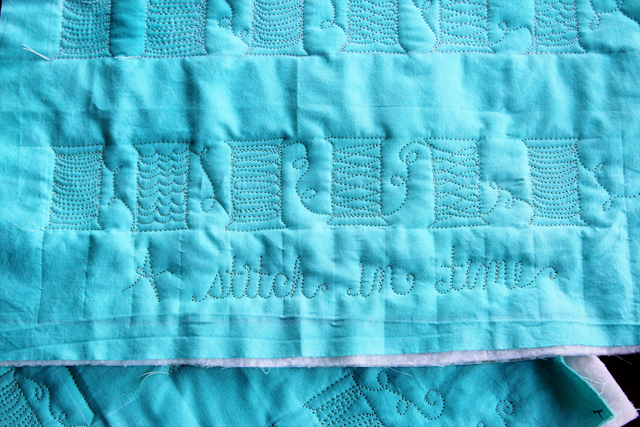 Thank you so much for sharing your great fmq motifs. I just finished a spool quilt top and am planning to quilt the design you have shown on each spool block. Fingers crossed!